Addooco is delighted to announce our latest new recruit to the ever-growing team. Dan Oakley has joined the business as Apprentice IT Technician after a successful stint of work experience. Dan said “Joining Addooco at 16 years of age opens up a lot of opportunities for me, I can now look to the future with real positivity. I am already gaining loads of experience here, constantly growing my skill set and becoming better by the day. I’m very grateful for being accepted into the Addooco Team and I aim to help the team constantly improve the great service”. Addooco Management said “Dan has already impressed in several areas. He showed patience and commitment before being made a formal offer and really impressed in his interview, which included a strong presentation. He has made a good impression since becoming a full time employee, showing maturity, confidence and a genuine interest in learning the ropes. 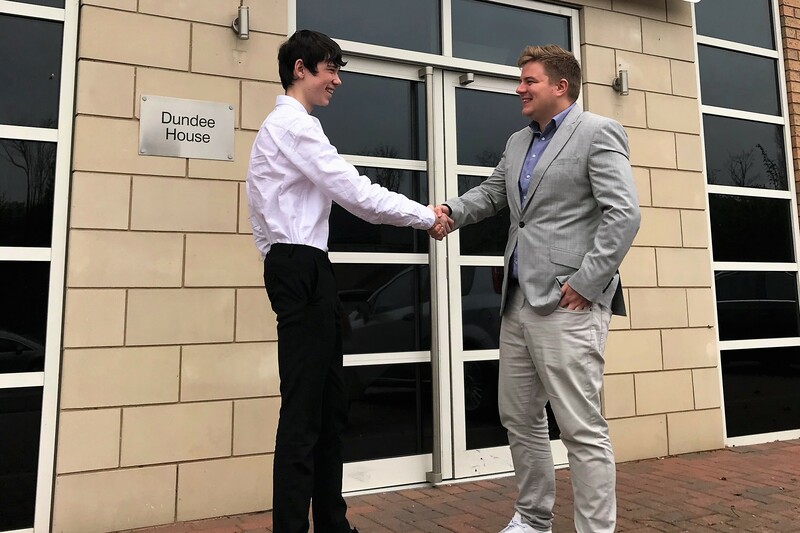 Pictured is Addooco Managing Director, Rich Walters, welcoming Dan to the business.